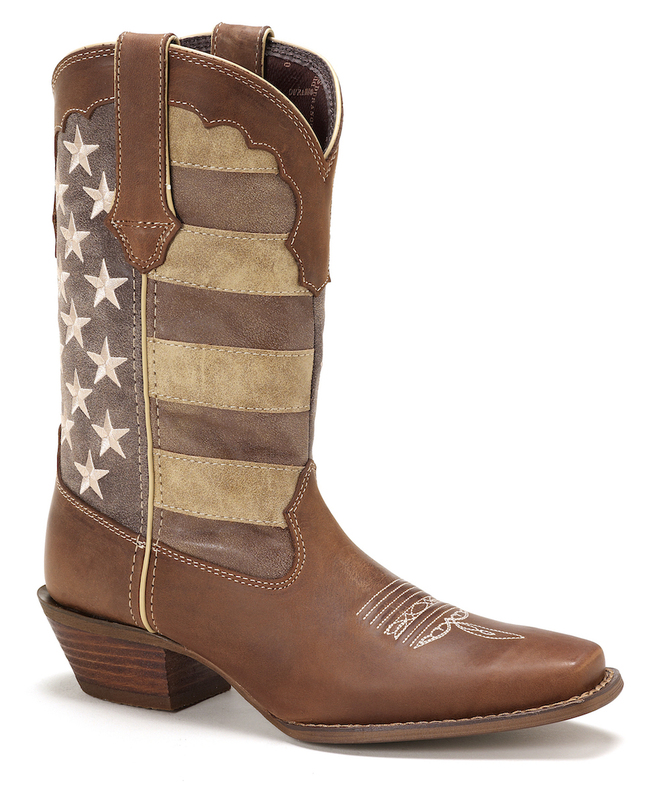 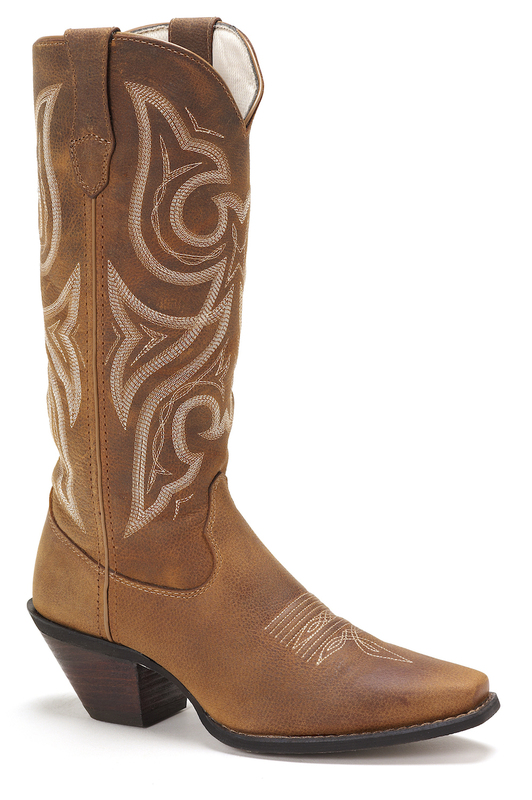 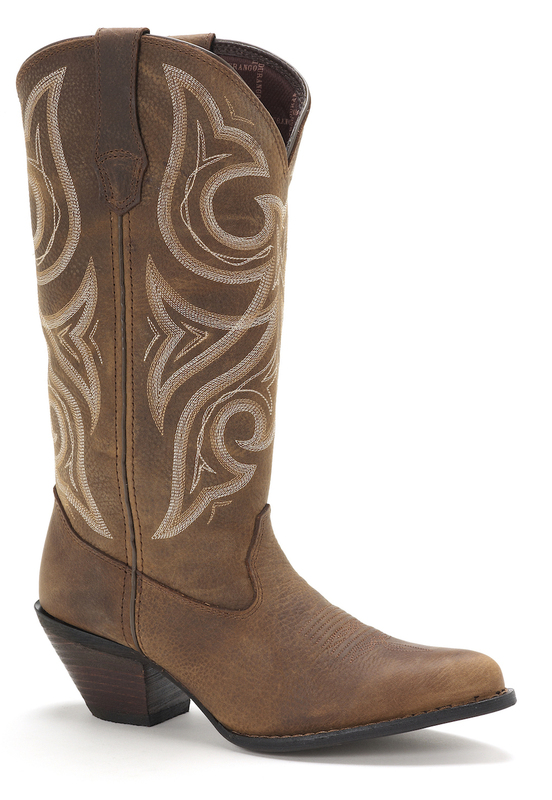 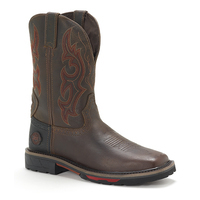 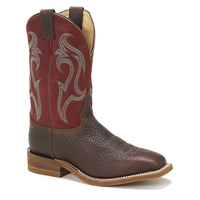 This Durango Western boot has a very simplistic-looking design. 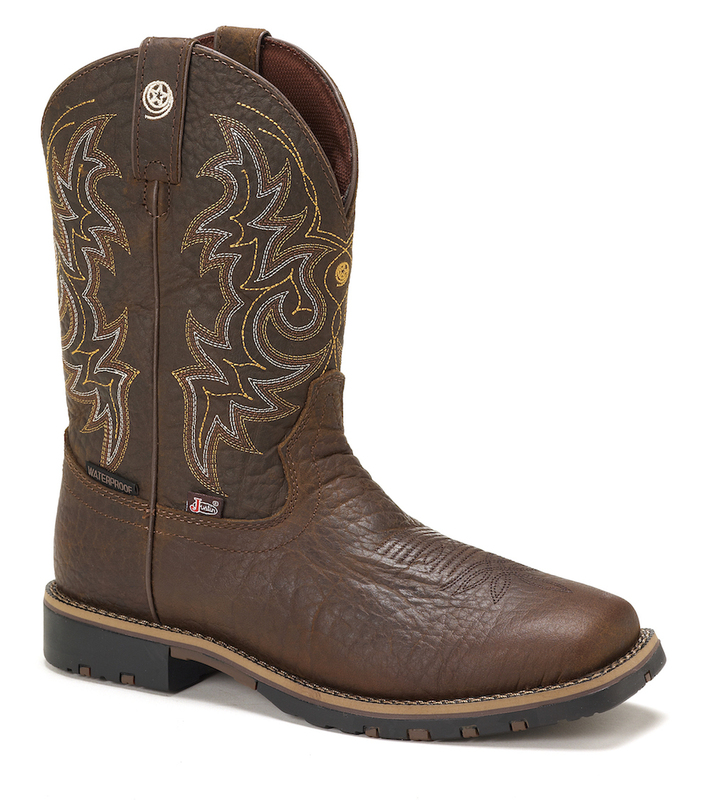 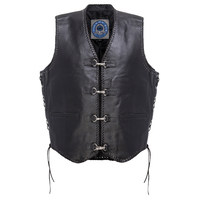 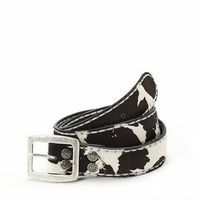 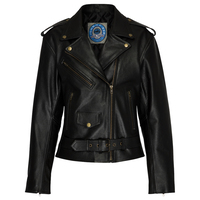 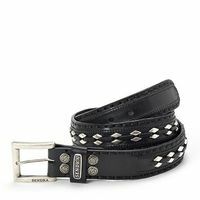 It doesn't need all of the bells and whistles, because the quality of the full-grain leather is superb. 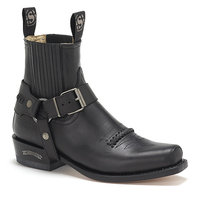 Since it is unembellished and because it has such a rugged, strong and powerful-looking black hue, you are able to wear this footwear casually and for fancier nights out on the town. 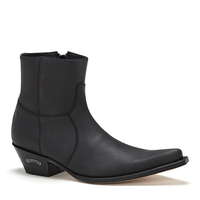 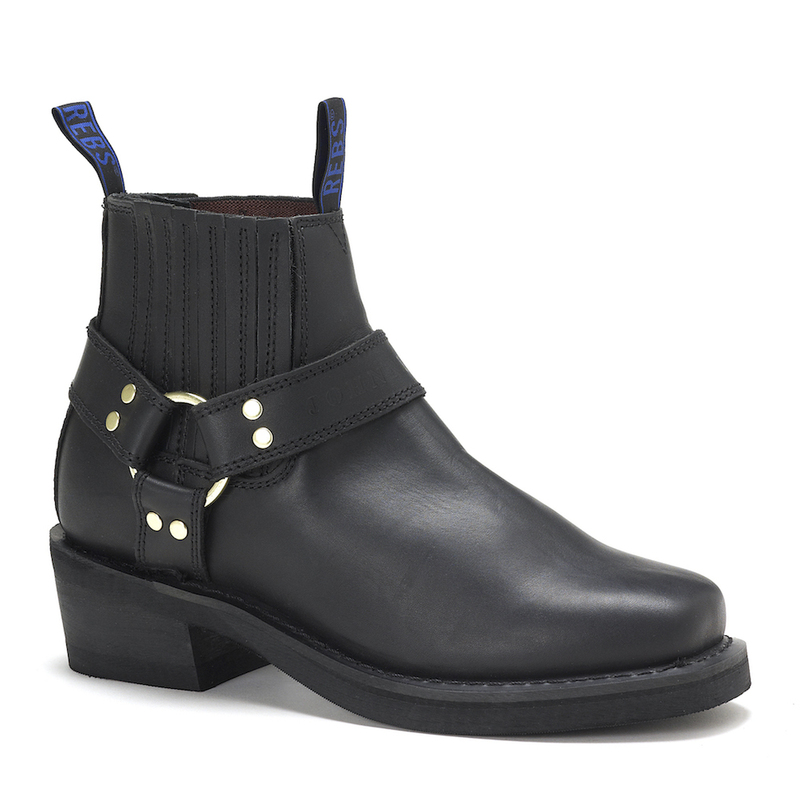 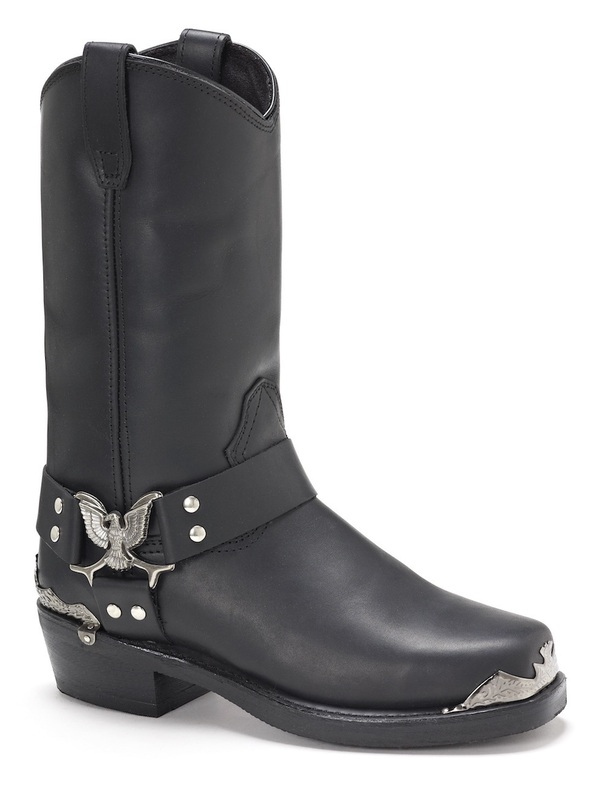 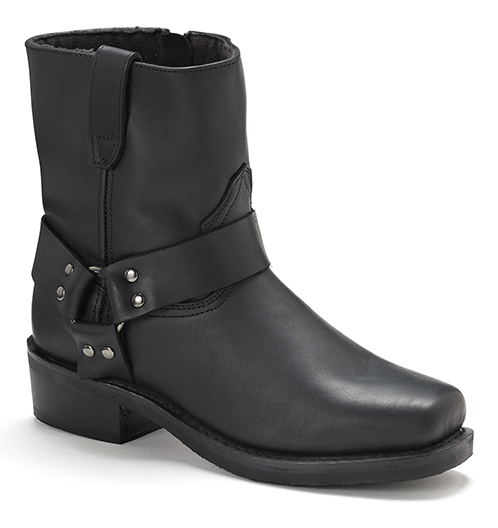 You will have no difficulty getting these 7" black boots on/off, because there is a conveniently-placed side zipper. 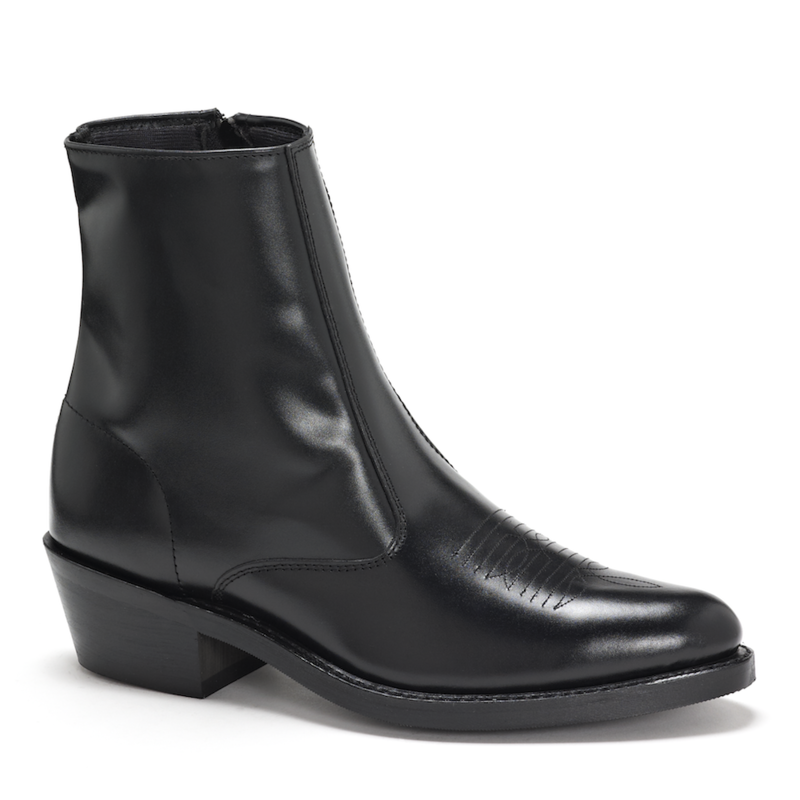 As you move throughout the day, your feet will remain comfortable in these boots, because they have been built with a leather lining. 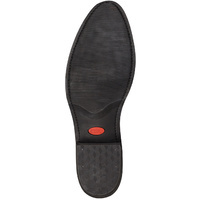 Another feature that is great to have within the interior is the cushioned insole with flex forepart. 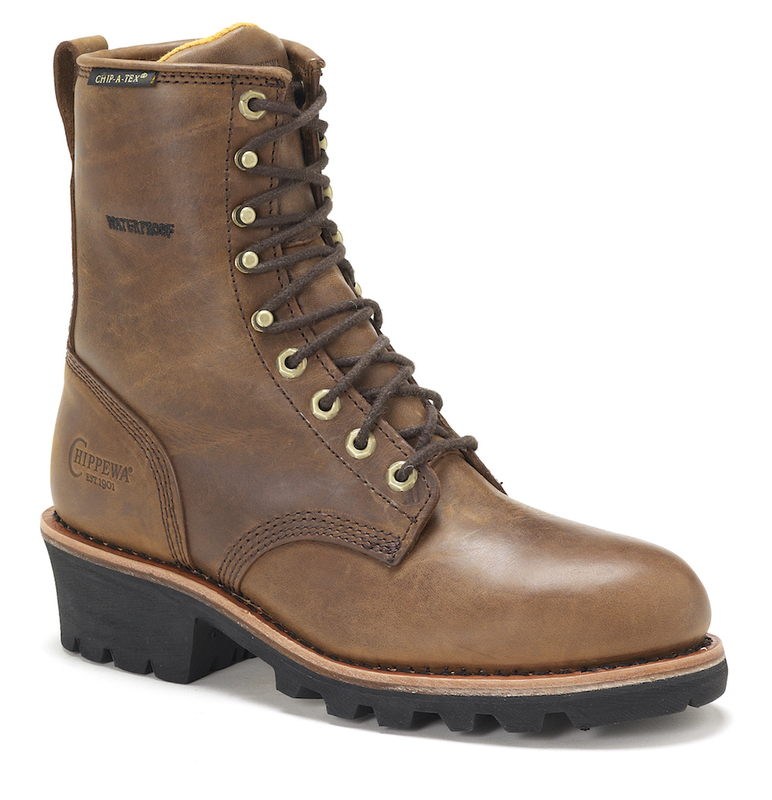 The insole itself will ease the weight that you normally bear down on your feet; the flex forepart provides this men's boot with so much flexibility that you are able to bend or crouch down with ease. 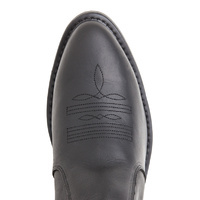 The sharp-looking black hue has continued down onto the Durango Westerner outsole. 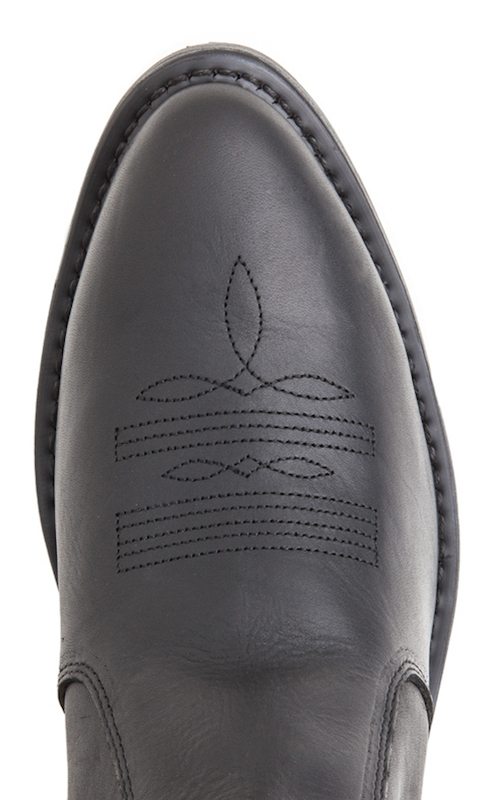 Apart from how nice it looks, you'll like that this outsole is resistant to oil. 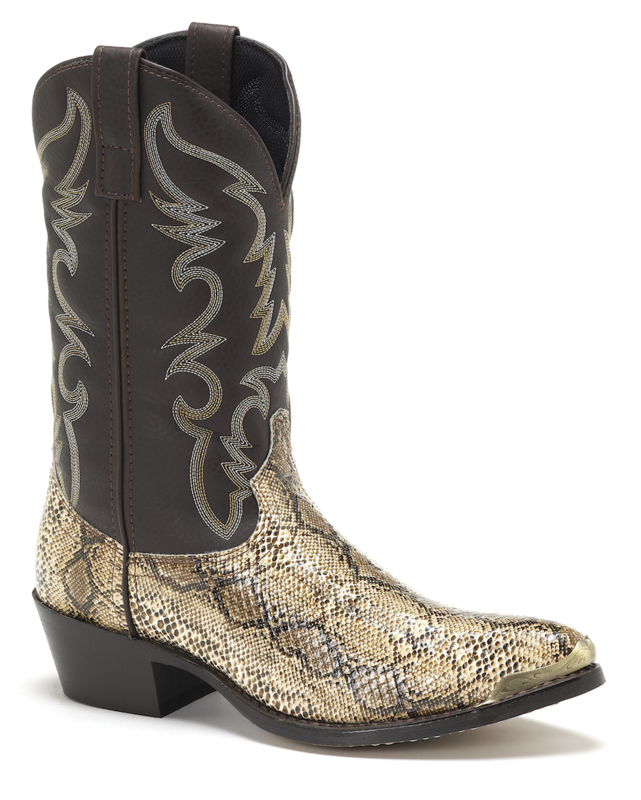 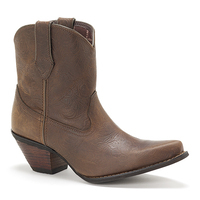 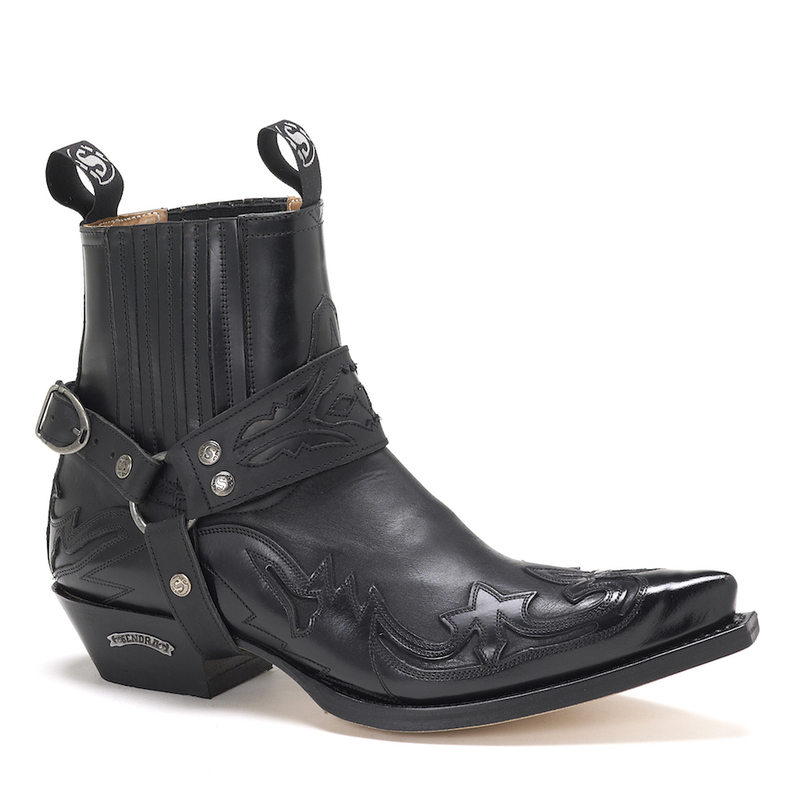 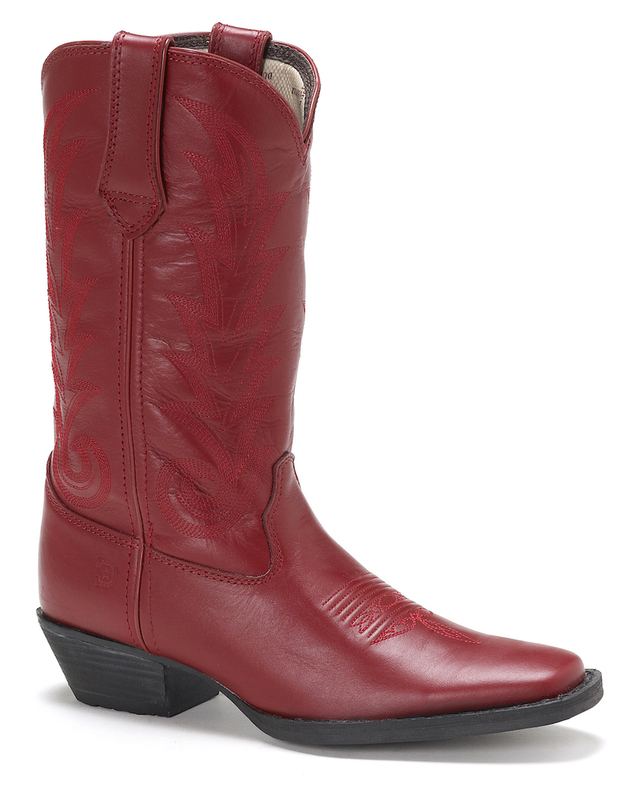 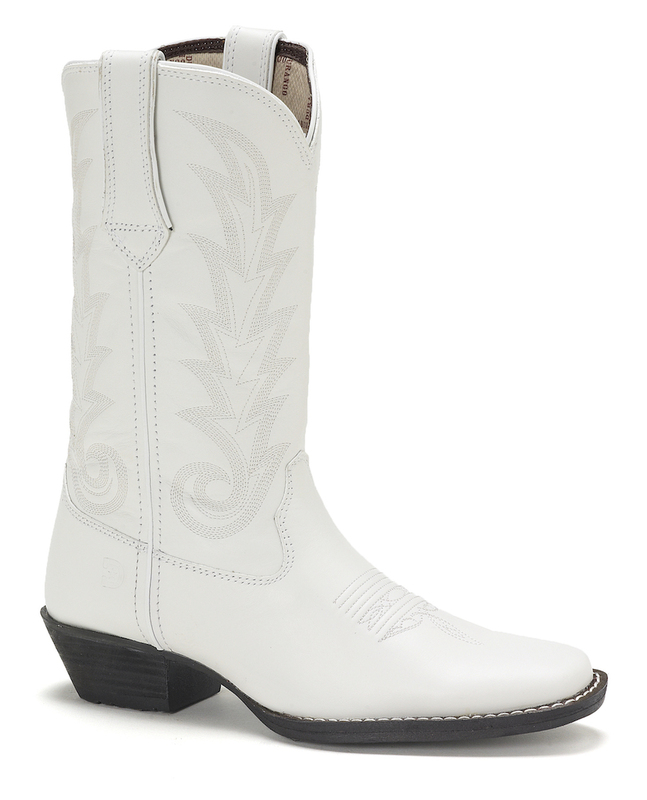 There is also a 2" Cowboy heel on this men's Western; added height makes men look more strapping, but since this is a lower and chunkier heel you will be able to walk comfortably and dance the night away. 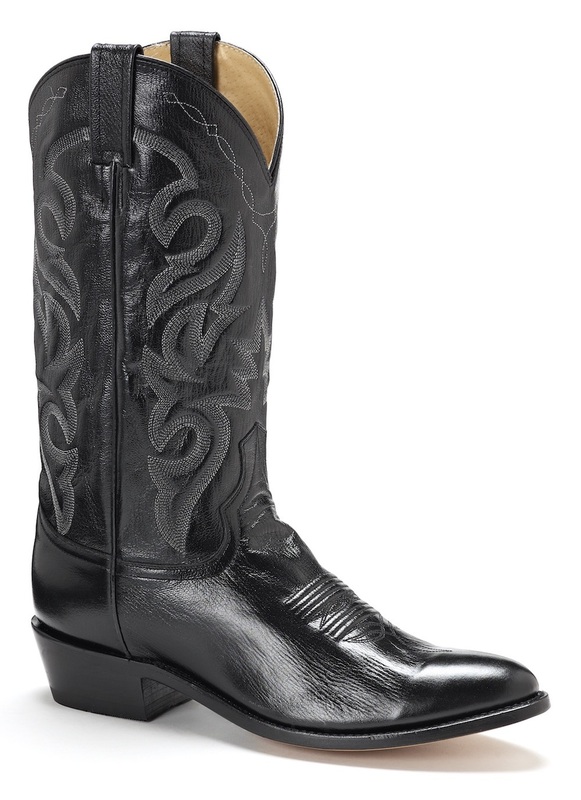 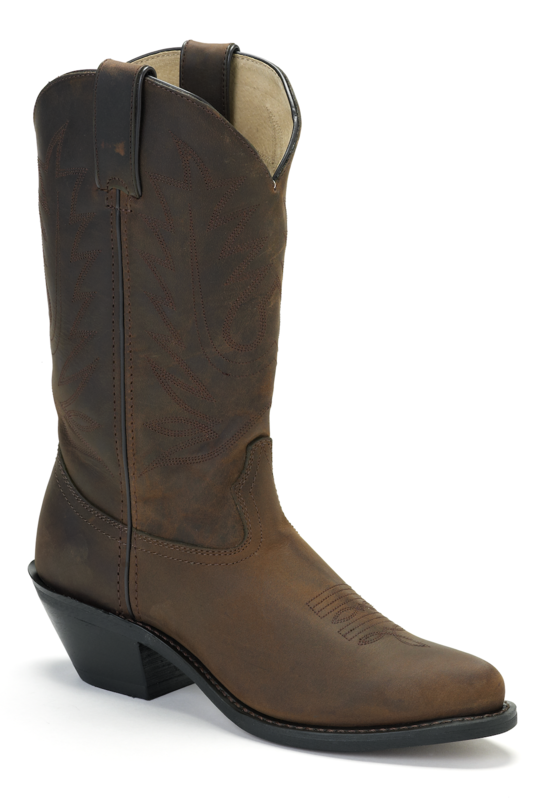 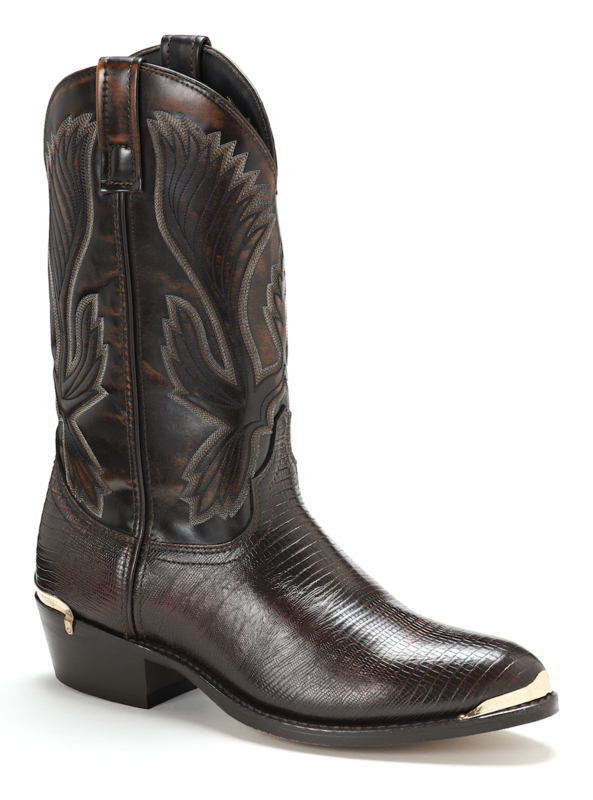 If you are the type of man who appreciates simplicity, these black Durango Western boots (#TR820) are perfect for you! 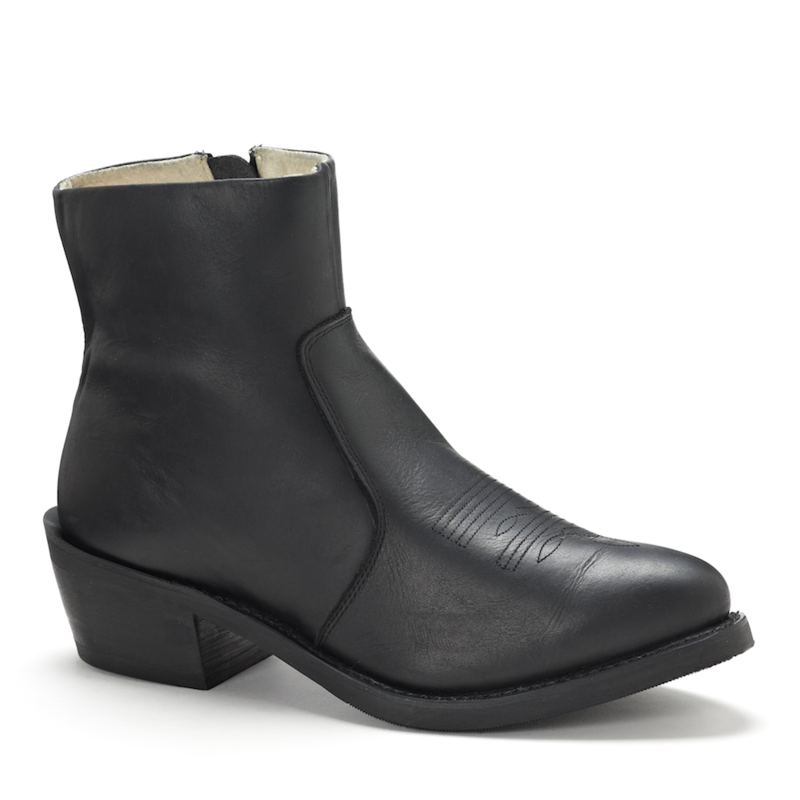 Bought these boots on-line without benefit of trying them on. 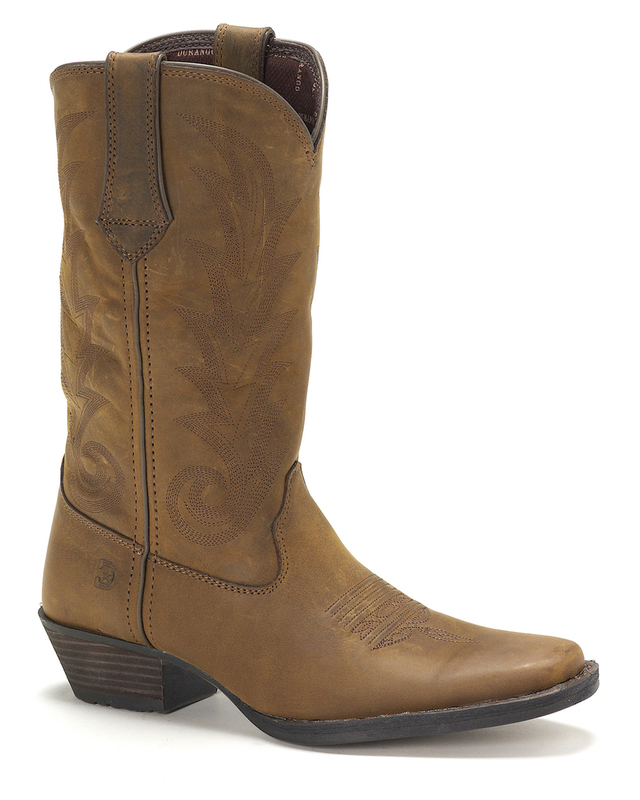 I'm very happy with them, look great and very comfortable after a little wearing in. 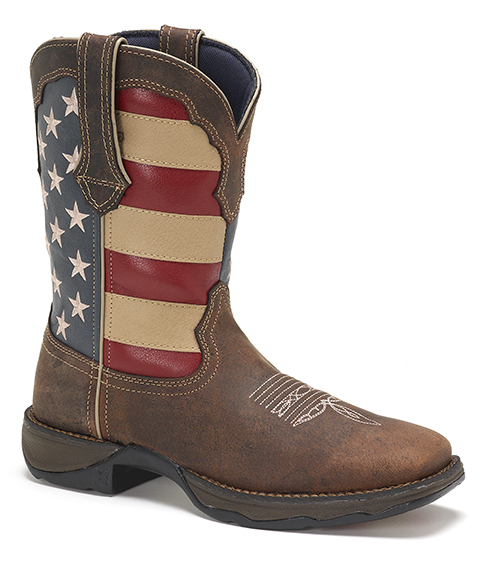 Would definitely recommend dealing with Western Boot Barn. 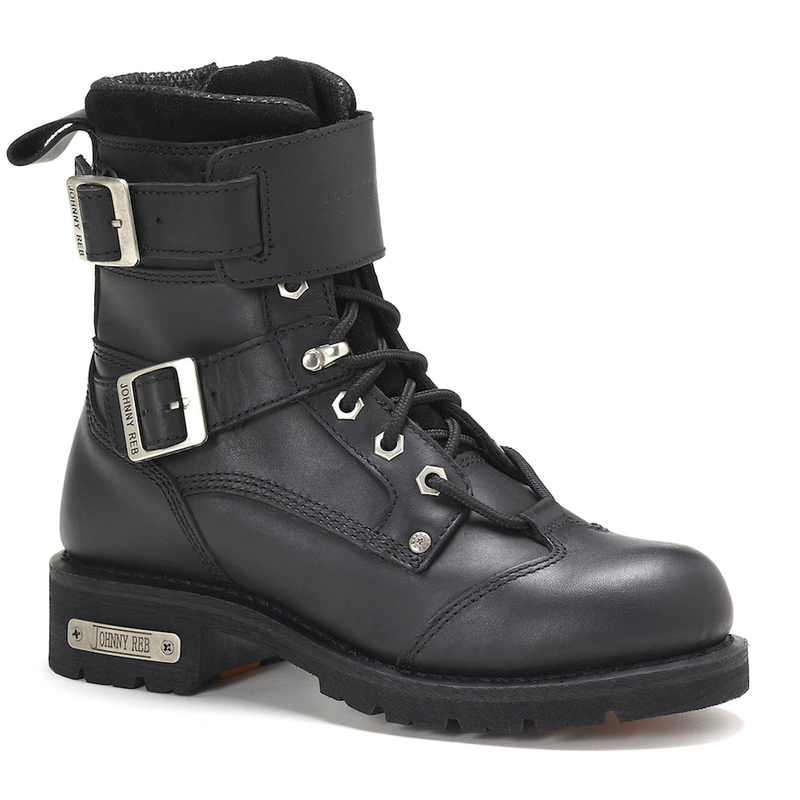 Received the boots with in a week, they look good are comfortable and fit as well. 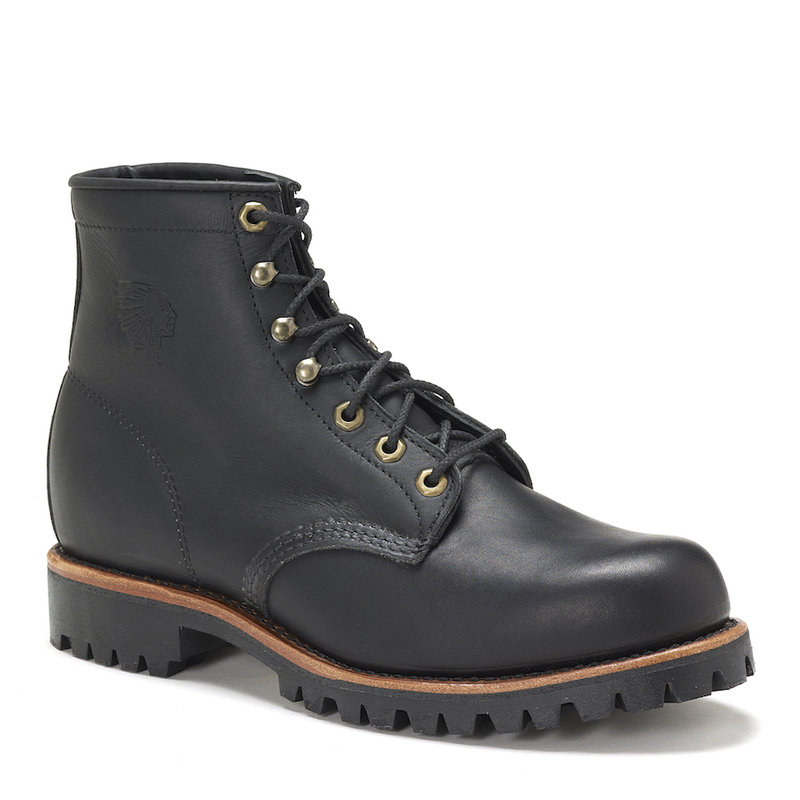 would recommend if looking for some casual boots. 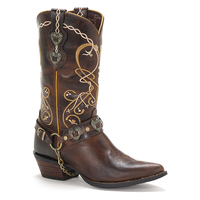 Will be shopping at Western Boot Barn again. 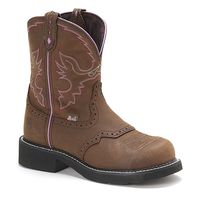 Durango boots, quality product, great on line company, will buy boots from Western Boot Co. again.